ou have a great idea for a TV show. That’s why you’re here. You know what the pilot is going to be. The main characters. The big twist at the end of season one. How about the Second season, and the third, and fourth. And the spinoff? The prequels? The movie? OK, we get it. Your TV show is brimming with greatness, problem is right now it's all in your head. So how can you get Managers, Agents, Producers, Executives to see all this potential? You create a TV show pitch bible. Alas, there are a million ways to approach that task and not ONE industry standard method. I will break down the best common methods into steps. Then provide you with a FREE TV show pitch bible template to fill out on your own with your idea. Download the FREE TV Show Pitch Bible Template below. Download your FREE ​TV Show Pitch Bible Template (Google Slides) below. Every TV show has a bible. Everything that has happened and will happen in the show is in the series bible. You can sort of approach this as though you are writing a tv series outline. Yet you should also think of the show bible like the secret roadmap. Because only the writers know it's every hidden corner. They will refer to it throughout the process as they craft new plots. They will obscure and uncover the secret elements that drive this world. Cool added bonus: often a good show bible will help you learn how to write a tv show. If you want to read everything else there is to know about writing tips in general, check out Bang2Write's post on crafting show bibles. The secret element is what makes the pitch bible so useful. Some things about the characters, the world, and the story engine will NEVER be spelled out in an episode. 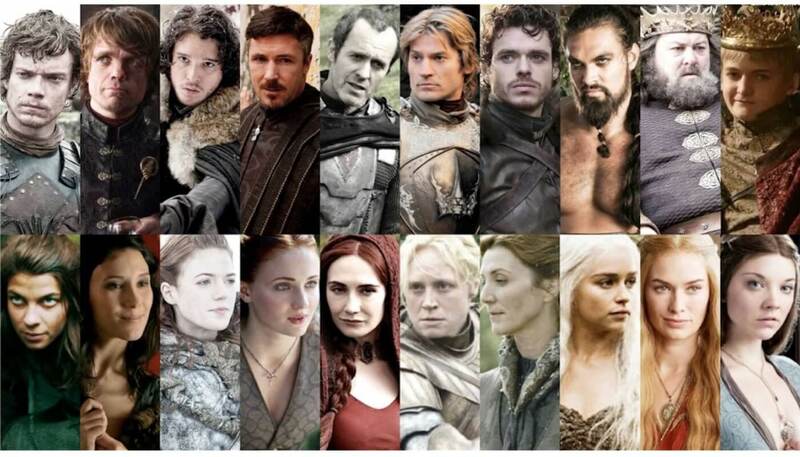 In HBO's Game of Thrones there are certain 'secrets' about main characters. The only person who knew these secrets was book author George RR Martin. One way writers David Benioff and D.B. Weiss won the show rights was by correctly guessing those secrets. These secrets then became part of the show's bible. Which is to say, they informed a ton of the story. Though nobody watching knew them. 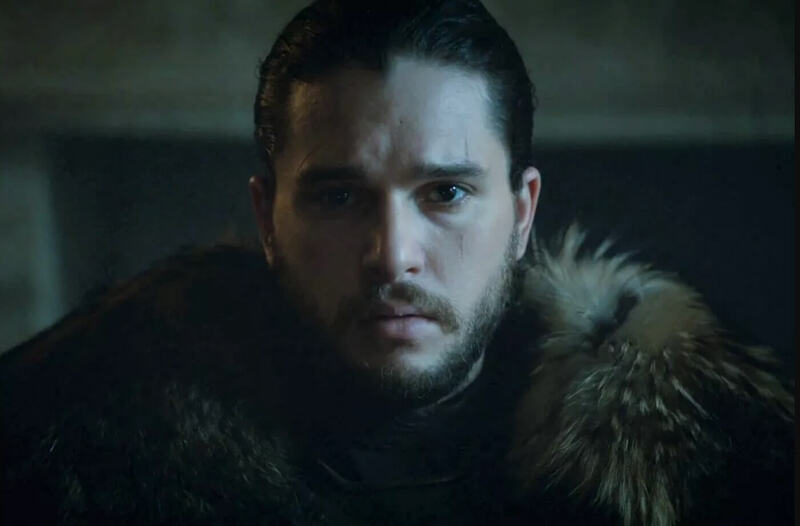 Jon Snow knows nothing about his own secrets. However, the show bible knows. That's the secret superpower of a very strong tv show bible. Think of it as how the novel series A Song of Ice and Fire is to the show Game of Thrones. One of the major causes for the show’s great success is the density and specificity of the novels. Now, I'm not asking you to write 5+ lengthy novels for your show. Well, then you'll have a GREAT show and a GREAT show bible. Of course, before your show is on air, the tv show bible is more of a TV show pitch bible. What do we mean by pitch bible? You've heard of pitching a TV show. Or you've done it. It's essentially an audition for an idea. Pitching a TV show will involve many steps. Many of them performed by you live in front of Executives and Producers. You might also have a TV pitch document you’ll bring along. One way or another you'll have to sell it in the room. Pitching a TV show isn’t easy. Hopefully you have better luck than these guys did. To do it you’ll need to know your show and it's world backward and forwards. You'll need to answer any questions about it, and always keep the concept compelling. That's pretty hard to do off the cuff. Even if you already wrote a great spec script for your pilot, that may not be enough. 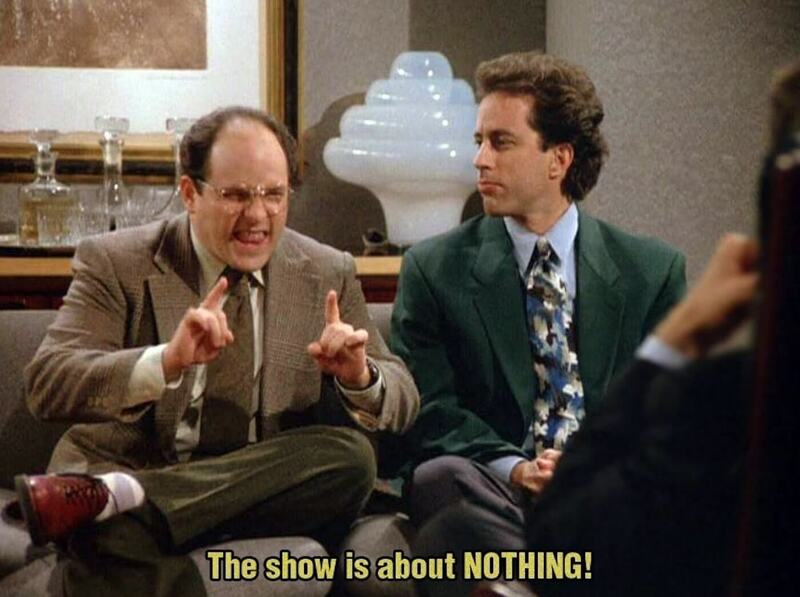 It won't explain all the nuances of your show and where your show will go. How many shows have you seen fizzle in its first year? For every one, you remember there are countless others like it. They all had good enough pilots. They all had good enough pitches. They were all canceled early and abruptly. 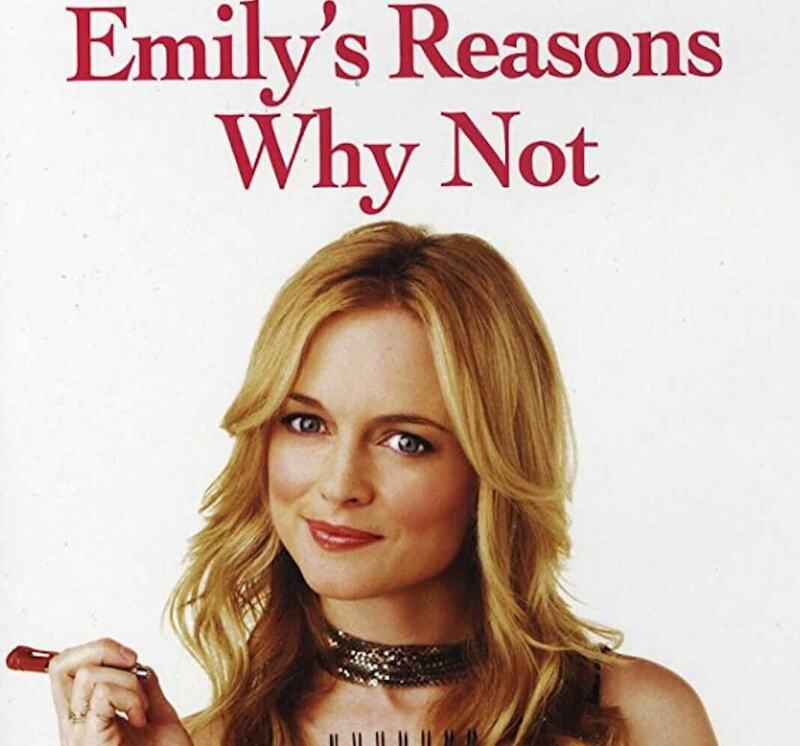 This Heather Graham starrer was canceled after one episode. It’s not as uncommon as you’d think. A strong TV show pitch bible needs to help your show never suffer that fate. TV Writers Vault also includes helpful resources on pitching your scripted show as well. More important than that, it needs to show the powers that be that your show won't suffer that fate. What will your template do for you? 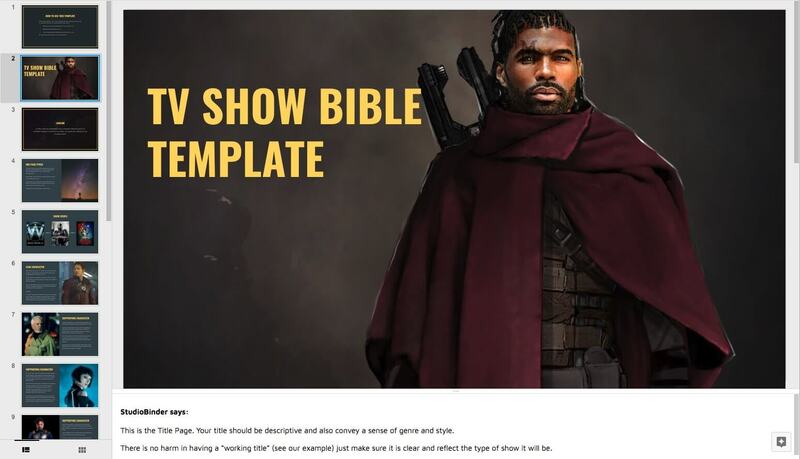 The tv series bible template isn’t going to teach you how to pitch a tv show. Or how to write a tv show, for that matter. What it will do is make doing both of those things much easier. Asking how to pitch a tv show before you’ve started perfecting your tv show pitch bible is sort of like asking how to fly a plane before you’ve gotten into a cockpit. You need to build the concept of your show inside and out, and then you’ll know exactly how to pitch it. You’ll also know how to write your tv show. Because YOU will have put everything together. So let’s start building that cockpit so you can start to fly. Before we break down the sections, we need to cover tone. One approach is to the write the tv show pitch bible in the proposed tone of the show. This can always work. 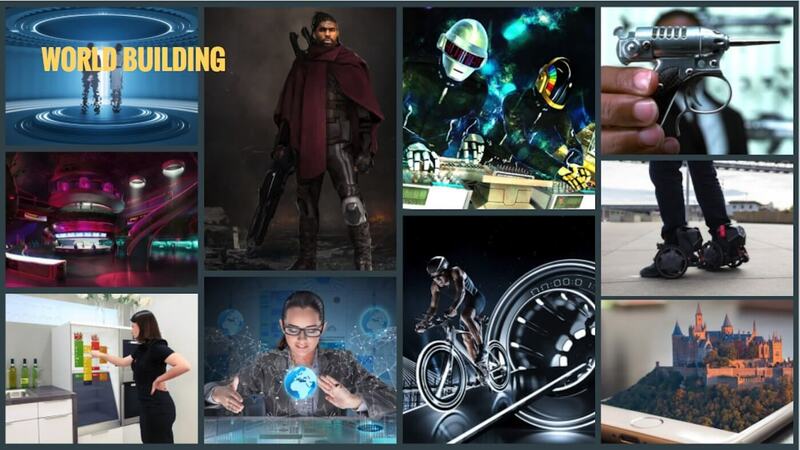 Showing the tone with great visuals can beef up your TV Show Pitch Bible. Can't you hear "Jess" saying this? We're already learning about the show in more ways than one. Writing in your voice, and your tone, helps make the show yours. You've no doubt heard "write what you know". In this instance take it a step farther. Write how you speak. Write how your characters speak. Write like your world. You can also devote a section of the tv show pitch bible to just tone. If you go that route, place it at the end, and keep it brief and specific. Include the visual tone, and use examples. The visual tone for AMC's acclaimed series Mad Men was meant to mirror the look and feel of Alfred Hitchcock's work. A cinematic approach using only traditional eye-level angles gave the viewer a sense of the time and era. Of course in the instance of Mad Men, the tone section would have also included the design. Period costumes, as well as furnishings, defined the show and the subculture it would spawn. It might have also included Don Draper's old-fashioned recipe. Afterall, the first line of the series was him ordering another one. His relationship to drinking certainly defined the series and the character. Your TV show pitch bible should put forth the very best and most compelling aspects of your concept. As well as the details that define it. Deciding on all of that is the process of creating a TV show. Don't go into a big meeting without having your TV Show Bible in hand! 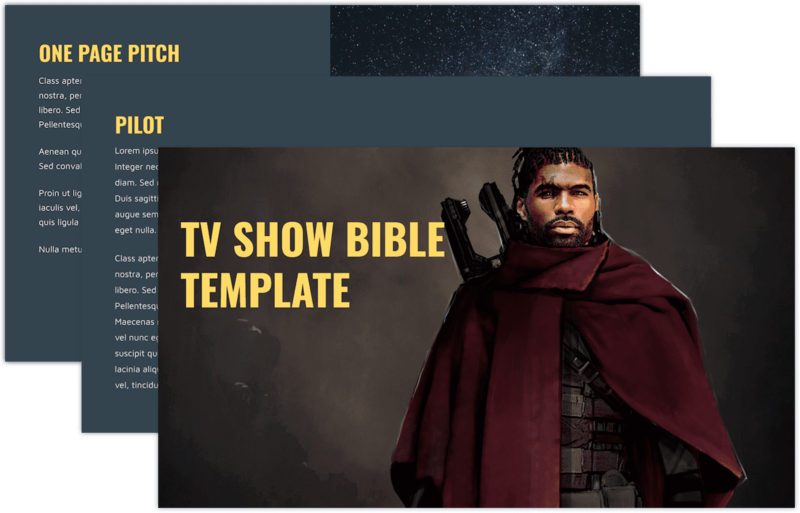 We've laid out the essential ingredients behind the best TV Show Bibles and consolidated them into one Google Slideshow document. Enter your email address below to grab the FREE template! The first page of your tv series bible should be the one-page pitch. It should not be more than one page, but it wouldn't hurt to get it down to even less than a full page. This is your chance to lay it all out in a summary, but tease the bigger ideas at work, and other concepts. Make it compelling, and keep it simple. 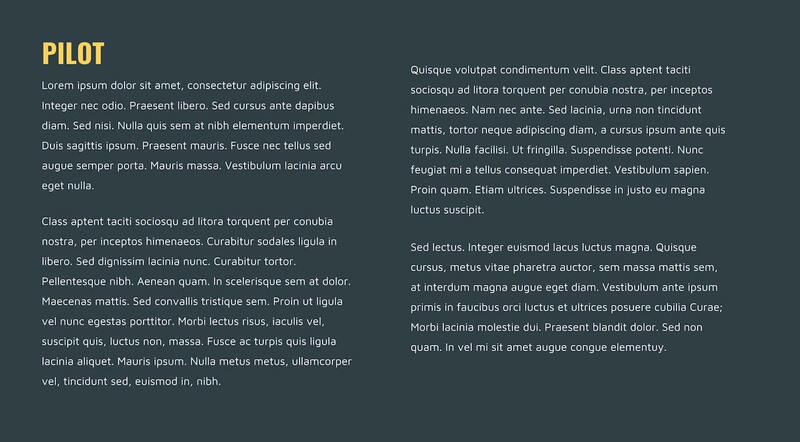 In short: make sure the reader can get through this part quickly AND wants more. "Beyond the farthest galaxies viewed by the greatest telescopes on earth. Beyond the limits of our universe lies another place- A place of magic, myth, sorcery, and science. Through the cosmic clouds spins a solar system with a Type Three star twinkling in the ether of interstellar space"
This show? 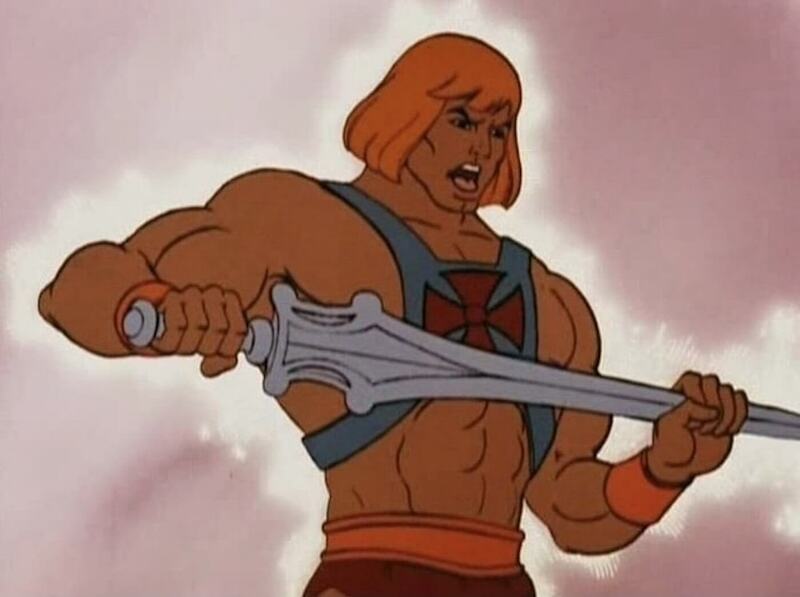 He-man. A super-popular children's cartoon from over 35 years ago. That opening teases out something so much bigger. Something so bizarre and enticing. Something you feel like you have to see and might just blow your mind. That should be the goal of your one page. Give us a taste of your series, and your pilot, but be sure to wow us. Grab us. Get into the space of our imagination. "For most of us, high school was about trying to get through each day without getting beaten up or humiliated. It was about constantly being faced with evidence that contradicted the way our parents and churches told us the world was supposed to work. Life wasn't fair. People weren't that nice. Things didn't always work out for the best." This is from the opening page of the TV show pitch bible for Freaks and Geeks. A beloved show that was far ahead of its time and launched the careers of many A-listers. A-Listers not pictured: show E.P. and creator(respectively) Judd Apatow and Paul Feig. Surely a different tactic than the toy executives took when establishing the world of He-man. A stark reality as opposed to far-flung galactic fantasy. Yet both cases, the approach worked. It connects with the reader and draws them into a different space. A space they will want to keep going (every week). Once your show takes up residence in your viewer's hearts and minds it will live there forever. Literally. Ever heard of residuals? If you're having trouble putting your concept on one page or less than you need to rework your concept. Congratulations on getting your TV show concept into a page. Now for your next trick, you'll have to get it down to a sentence. To do that you'll need to hone in on the most basic elements of the story. Two elements, to be precise. The "who" of your story. Is it a person? Is it a group of people? If it's a group of people it's almost always a family. The who in your pitch bible and logline will often be a family. Even if they are a group of people on a spaceship hundreds of years in the future, they are still going to function as a family when it comes to TV. 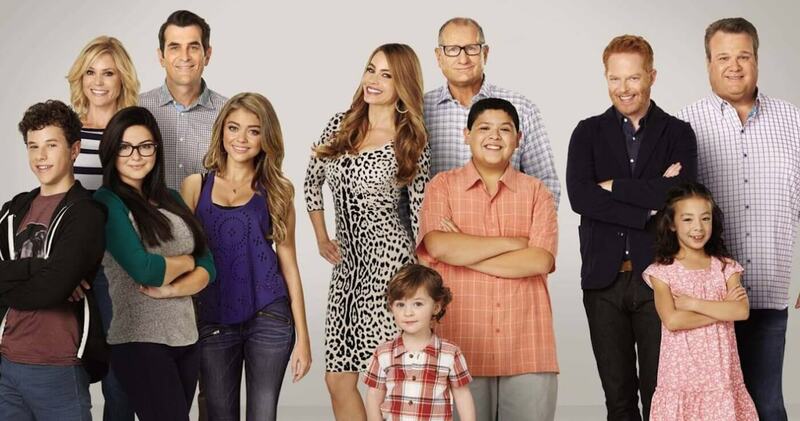 It may not look like any family you’ve seen before, but on TV it’ll probably function like one. Is it about a company? Say... an "office"? That'll also be like a family. It'll also be your "who". Whatever you decide your who is, you'll next to do determine element two. Element two of your logline is your stories "conflict". What conflict comes to this individual or family? Or spaceship? Or superhero? Or office? Is your story about a man who moved into a new apartment by himself? Is the conflict that he found out his distant cousin Balki is coming to live with him? Well, then you have a logline (and a show that ran forever called Perfect Strangers). 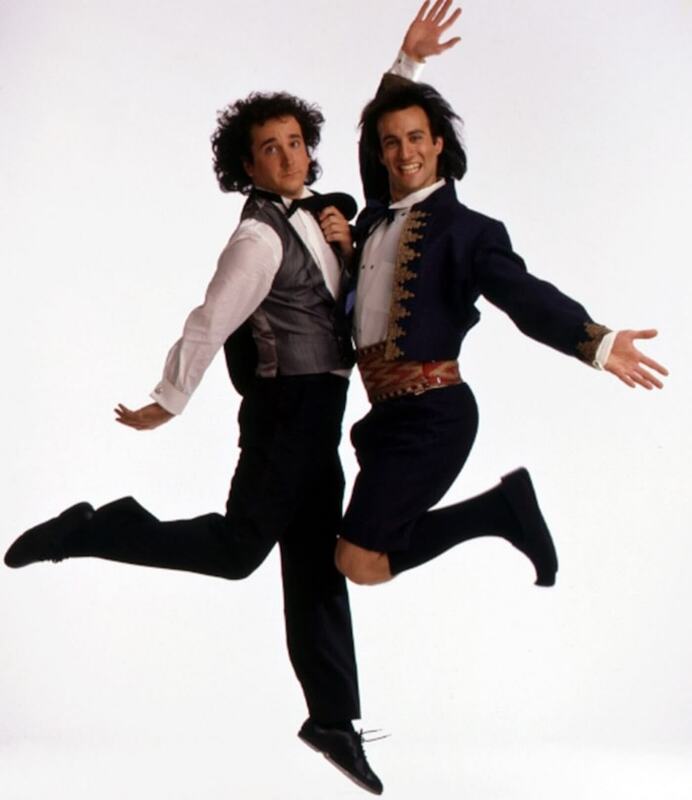 A show about these two guys ran for 8 seasons. One phrase you'll hear a lot of is "someone wants something very badly and is having a hard time getting it". That phrase can be the core of a logline and the ensuing drama. Simplify it even further by identifying your who, and your conflict. Who wants what? What is in their way? 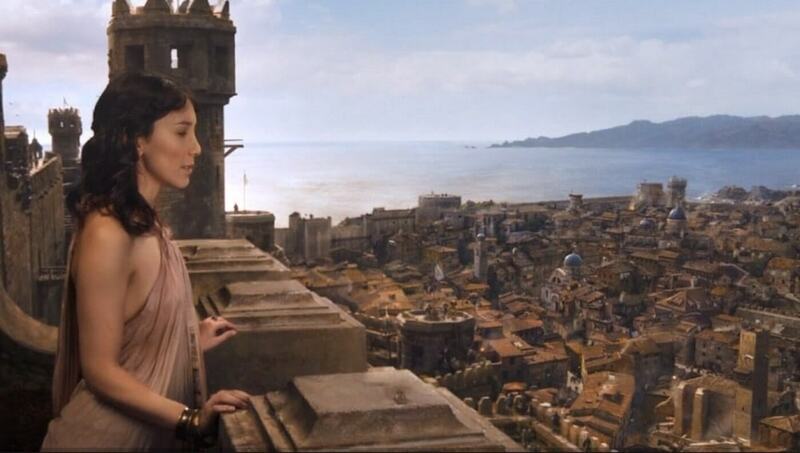 The plot and world for the show Game of Thrones seems complicated, right? At its core isn't it about a kingdom turned upside down by political turmoil and civil war? 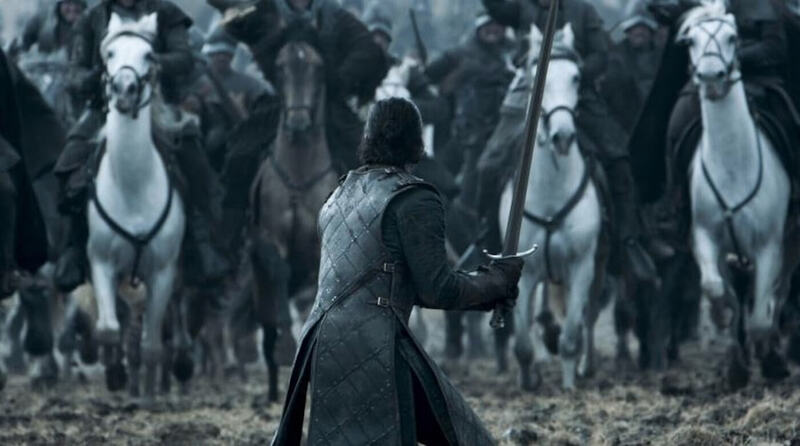 Behind all it’s sensational elements, Game Of Thrones is about kingdom seeking order and unity. There are other ways to frame it, and probably better loglines than that. Regardless, the idea is to boil it down. Who is this story about, and what is going to make this story go? A story always has to go. And unlike a movie which goes for a few hours and then stops, a TV show has to go for as long as possible. How do you get it go that far for that long? Your TV show pitch bible needs to lay the blueprint out for the entire series, as well as for each episode. All at once. With something we call the story engine. This is the plot mechanism that will be able to churn out episode after episode. In essence, it must establish that your TV show concept is 'sustainable'. The concept for your show might be great. The pilot might be genius. Yet there is a lot more to creating a tv show than that. Can your tv show keep going back to the well all season? For many seasons? The way to prove it is to have a very solid story engine in your tv show pitch bible. Between you and me, your story engine may morph and change. On good shows, it does. In fact, you could point to many shows and see how they ended up far afield from where they began. A staff of writers will come along. Talent you thought would be a focal point isn't. Showrunners change. Stars leave (and almost always regret it). Shows often 'find their groove' well into their run. That, however, is a discussion for another day. Today, and when writing the pitch bible, you will focus on one repeatable way to create new stories. Let's dig a deep well that will never run dry. Since we're calling it a story engine let's take this metaphor farther. Your tv show concept is a car we are trying to sell. Your buyer might love the way the car looks. How the interior feels. But none of that matters if the car can't drive him off the lot. And keep running long after that. Ok, enough metaphor. What is a story engine in practical terms? It's sort of what you established in the logline. It's the drama (or comedy) between the 'who' and the 'conflict' that can keep creating new situations. 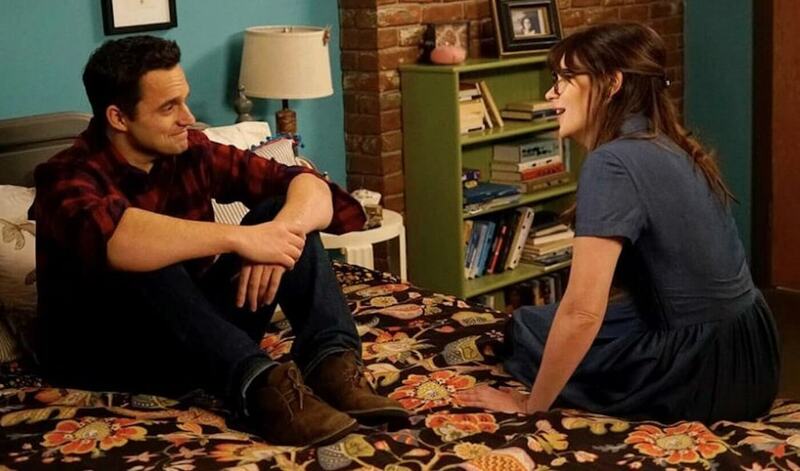 "The episodes center on Jess pushing the guys to confront their unspoken feelings. To face problems head on instead of either running away or declaring total war. Except sometimes it's better not to face things." To boil that down farther, the story engine is how “Jess and the guys” will confront the world in different ways. But they will confront it together, and they will learn from each other. That's how you can promise more than one story, or episode, out of the engine. It will run and run and run. Bring in a new problem, a new character, a new situation, and place it in this engine. 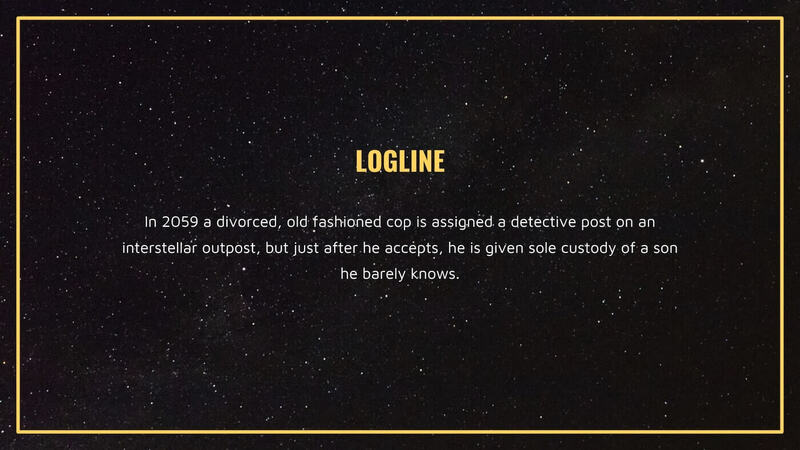 The story engine is an elaboration on the "conflict" from your logline. Now, what about the "who"? A character bible is a complete outline of everything that makes up who your character is. The character bible will define them from the inside out. From their darkest secrets to their deepest desires. Include anything from earliest memories to favorite hobbies. Try and only include what will be important to the character in the course of the show. We don't need to know that the character ordered the fish at a wedding they attended. Unless ordering the fish at weddings is indicative of who they are. A character bible is a collection of the critical details. 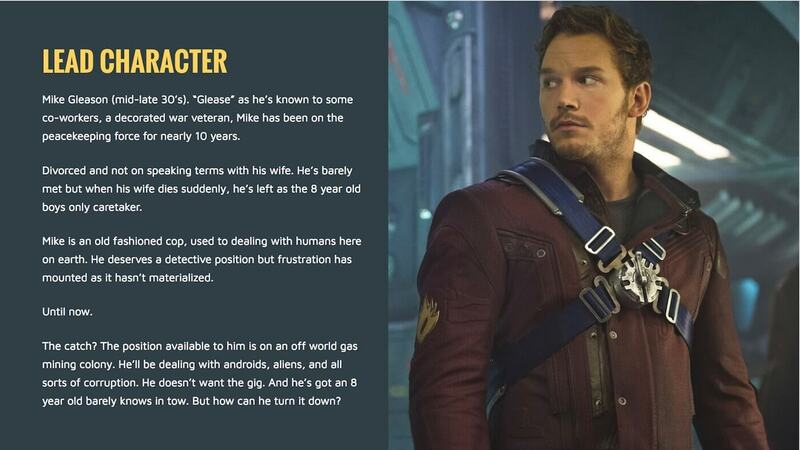 An example of how you can portray a character in our TV Show Pitch Bible Template. The bibles, or character bios, can be long or short. Shorter is better for a tv show pitch bible because you want to keep readers engaged. 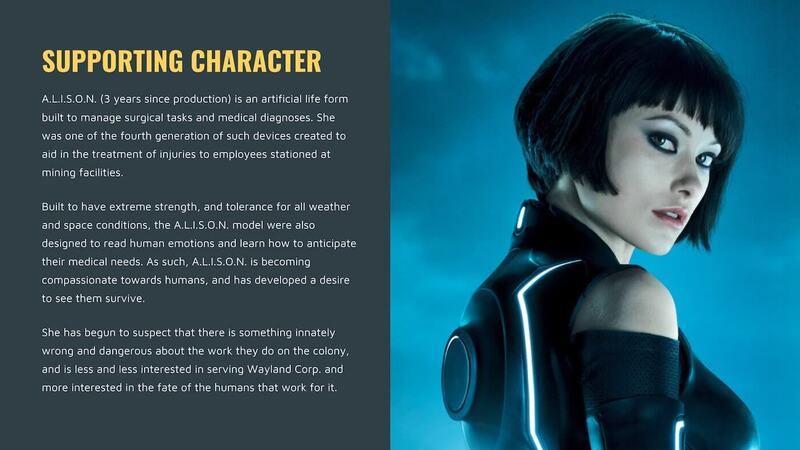 "Data’s Starfleet psychiatric profile ("Medical eyes only"), lists the android as having the "impossible dream of somehow, someday, becoming human." 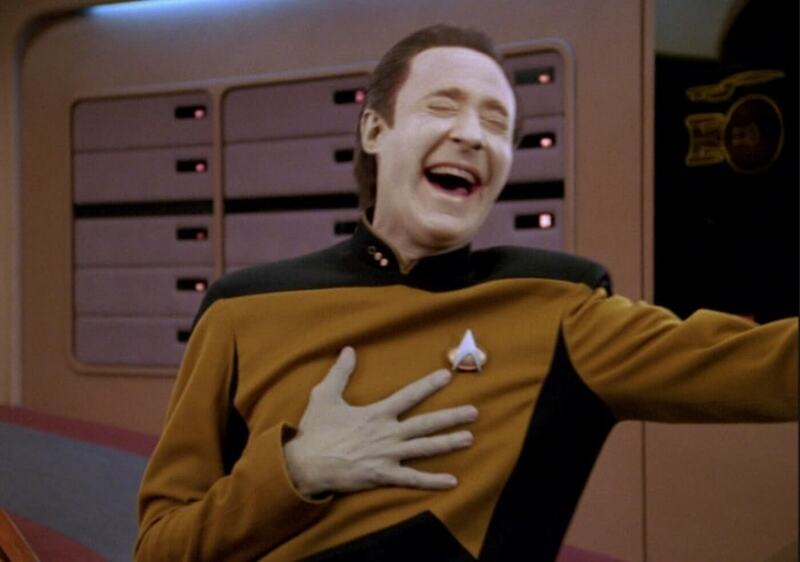 This is the only detail the breakdown lists from Data's "Starfleet psychiatric profile". At the same time, it's the only one we need. For the successful seven-year run of the show, this one sentence about Data created plots. The shows story engine is something like "the crew of a space-faring vessel explores new worlds". 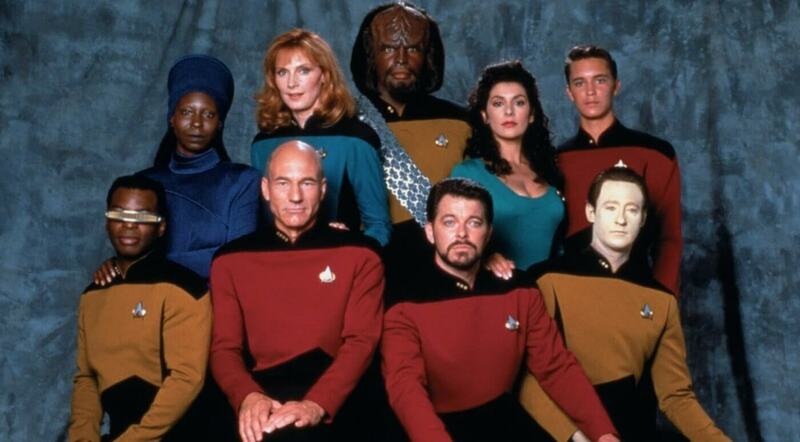 Data and his "impossible dream" were a part of the crew. The new worlds would often bring Data's dream into focus, or make it seem that much more impossible. Of course, is there anything more human than having a secret impossible dream? Spend more time on the show's lead and then cover at least two or three members of the supporting cast. If you have four leads, then include them all. Again, try and keep it all brief. Regardless of whether you wrote a pilot already, you should outline it in detail here. Your show can't go anywhere without a strong pilot to light the fuse. You can break the pilot down into act beats if you wish. Or you can summarize the thrust of the story, the subplot, and some other details. 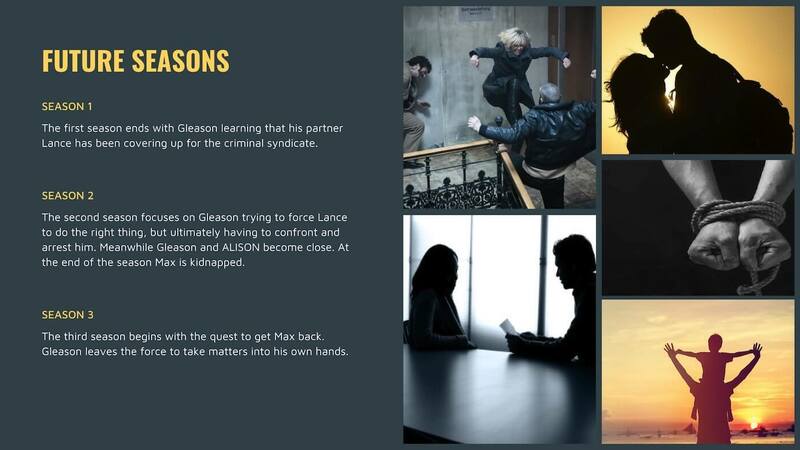 Our template further breaks down the pilot page into a teaser and five acts. Try outlining your pilot in the TV Show Pitch Bible Template here. The pilot doesn't need to be an 'origin story', though often it has to be. It can also be another incident in the world of your characters and show. For example, is this the day your lead character discovers he has cancer and decides to cook meth? Or is this just another day in the life of a meth-cooking-cancer-stricken chemistry teacher? Walter White’s story in Breaking Bad had a clear start point for it’s pilot. Your story will probably dictate which approach makes more sense. After you've laid out the pilot you should lay out the rest of the first season. That could be ongoing plot lines, it could also be a list of episode ideas. Remember not all shows feature ongoing storylines over the course of the series. That is the common trend now. It's called a "serial plot". TV shows used to hit the reset button after each week. Then “next time” we'd tune in for an often unrelated adventure. This is called "Episodic". As audiences 'binge' on TV shows, more shows maintained one (if not many) through-lines. Serial plots are built for the binge. 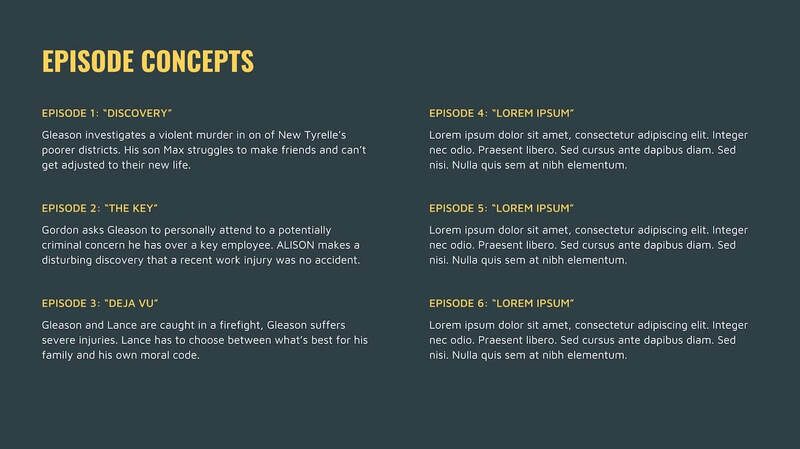 Laying out future episode concepts is where you'll get to show your story engine in action. You need to decide: is your plot serial or episodic? Can you feed ideas into the story engine and get compelling plots? Can you send Data to a planet where his quest to be human will come into conflict with his necessary actions? Or with an antagonist? 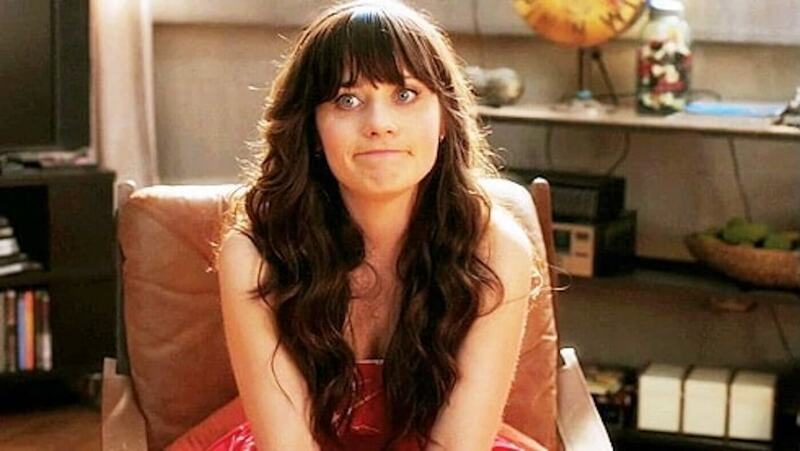 Can you introduce a relationship problem for one of the guys that Jess will try and help with only to create a much bigger, and sillier, problem? The easier it is to rattle off strong episode concepts using your characters and story engine, the stronger your show. At the same time, if you're struggling here then you should take a step back, and give that story engine a tune-up! You broke down possible episodes. Now break down possible seasons. "...each season of The Wire... exists as a stand-alone journey... Each story arc ultimately gravitates toward one common feature, a prolonged wiretap/surveillance effort that reveals intricacies and connections in the urban landscape that would ordinarily pass as unseen to even the best cops." The Wire had some characters return, but each season would examine a different part of the world. A season about the public schools, a season about the docks, a season about the newspaper. In each instance, a different part of the city and its 'urban decay' was under the microscope. Another way to look at future seasons is what major plot points you want to address. 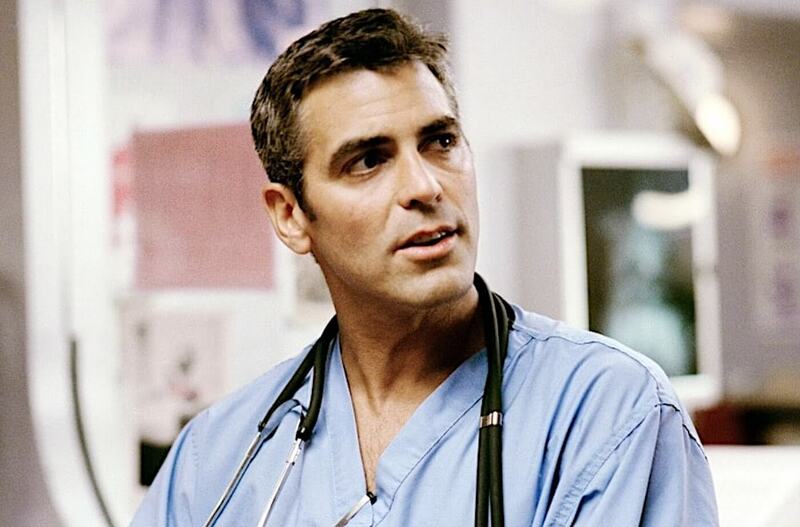 What is the CORE of your show? Is it about young single roommates? Then significant plot points along the way would involve new partners. Or major breakups. 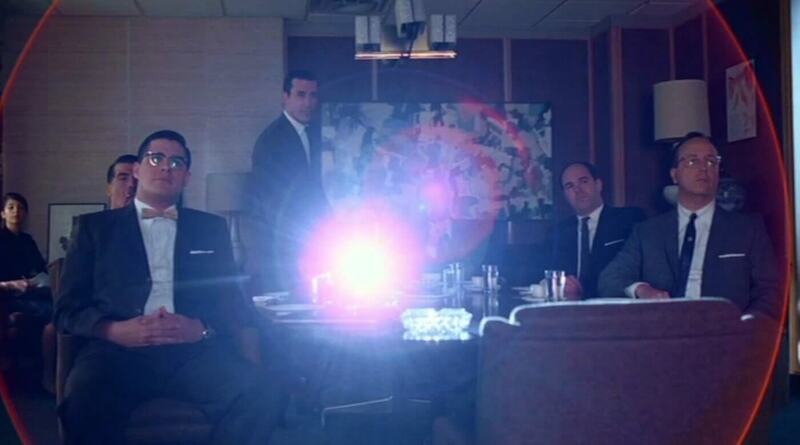 In Mad Men major plot points of future seasons revolved around the ad agency's major clients. Another source for turning points was Don Draper's secret identity coming to light. Pitching a client was one of Mad Men’s key plot points. Thematically combined with Don’s double life? Instant classic. What were the "who" and the "conflict"? Say the "who" is a family and the conflict is an alien that comes to live with them. A future season might focus on a new neighbor. It might also focus on the Alien taking a trip back to his homeworld. Your logline is the show's DNA. It should be strong enough to help inform all other decisions. Is the show about a kingdom in a civil war? A future season could be about a new faction coming to power. Or a temporary peace treaty. If your show has any multi-season arcs you will address that in the TV show pitch bible. 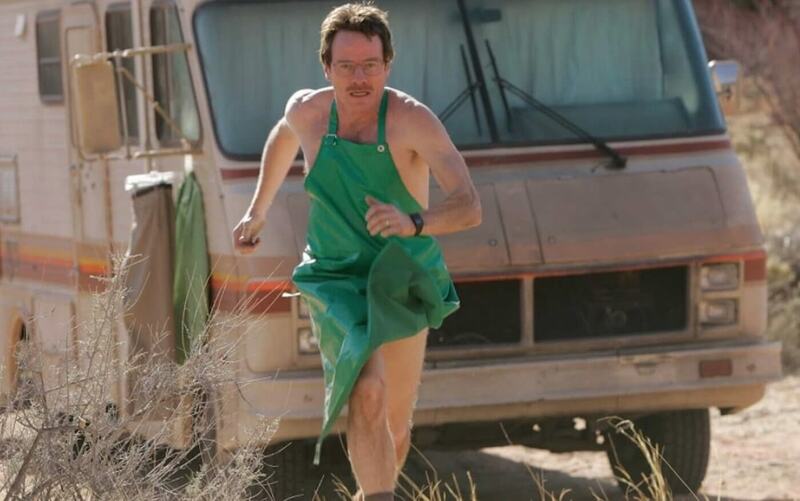 AMC's Breaking Bad is about a chemistry teacher who starts cooking meth to save extra money. Future seasons show him start to deal the drug. Then eventually work with the cartel. 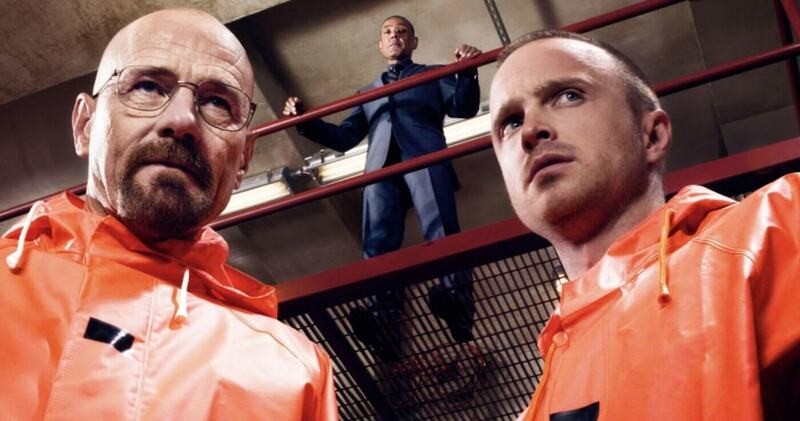 Eventually Walter and Jesse would have to cook meth for a powerful drug lord. But since there are multi-season arcs, you might also track Walter’s relationship with his wife. She has an affair. He gets kicked out of the house. These sorts of points along the timeline are the perfect types of things to include when outlining a future season. Future seasons section could also include how you see the series coming to a close. How will everything wrap up in the end? This is certainly something that wasn’t included in the Lost series bible. Your show could be about a wandering band of nomads in a post-apocalyptic future. At the end of season two, the leader of the group dies. Doesn't that tease out season 3? Doesn’t that give you the impression that this show has more to offer down the line? That the author (you) has ideas that will span many seasons and keep the show on air? That's what you're trying to show in your tv show pitch bible. You've covered a lot of ground in your tv show bible. From the pilot to future seasons. Yet as populated as your show is, there is still so much more you can bring to it. We talked about tone, and if you want this would be a great place to add your tone section if it isn't implicit already. You could also have a section to talking about the "look and feel" of your world. Do you have artwork? 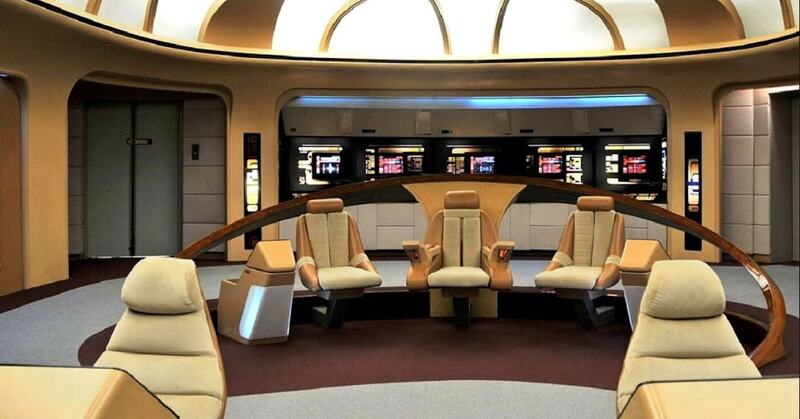 In the Star Trek: The Next Generation show bible there are images and maps of the ship's 'bridge'. Including the design of a key set in the tv series bible makes sense. 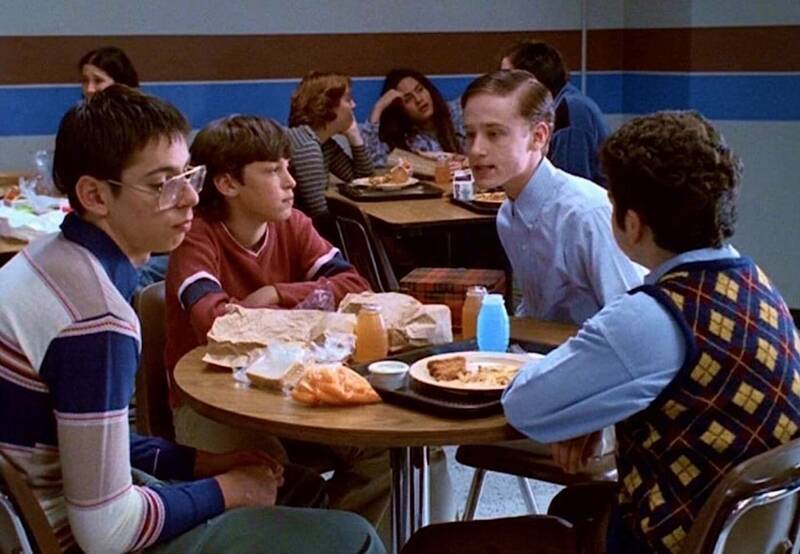 In the Freaks and Geeks tv show bible, there are listings of the music each social group would like. Consequently they list every major band or artist of the era and clarify if the freaks, the geeks, or both listen to it. 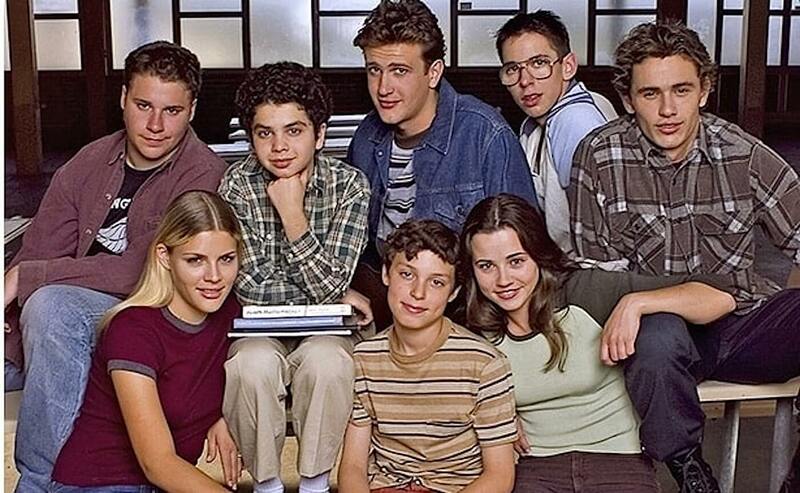 Freaks and Geeks populates its series bible with details about each character's wardrobe. Which two pairs of pants does Lindsey rotate throughout a typical week? The show bible has a section on things you might see in the background. A show bible can include ideas about various settings. What is happening in each corner of your world? "Band kids selling candy bars" and "kids trying to step on other kids' new shoes to get them dirty" are two of many such things. These snippets create a visual and auditory world in the show bible's final section. We've read about all their characters and episode concepts. Now before we're done with the bible we experience it. What is it like to walk the halls of this high school? Yet another section goes on to discuss the types of cars the kids drive, or are around on the street. The commitment to world-building here is impressive and never boring. We're not talking about George RR Martin filling out "Westeros". We're talking about a high school in the midwest in 1980. It doesn't matter though. Because great writing, great story, and great world building can happen anywhere. Furthermore, you know what it takes to write one that will sell. Our free template will help you walk that perfect line between a "pitch" and a "bible". 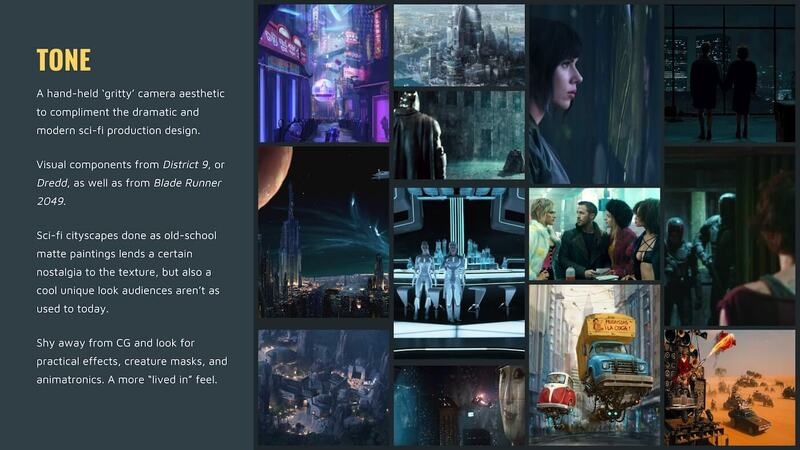 Fill out the sections, populate it with your own inspired art, and you'll have both a roadmap AND a presentation. Take it to meetings today, take it to the writer's room tomorrow. Print it out or carry around your TV series bible pdf. Or just take it on your laptop to coffee to get feedback from a friend. Any show you've ever dreamed up now has a place to live on the page (or the cloud). 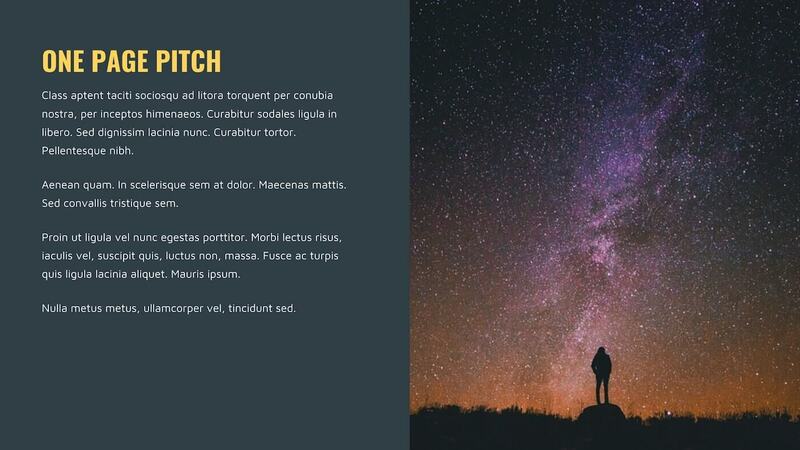 Start writing, and use this multimedia presentation format to get even more excited about your own ideas. Because if it's exciting to you, it might be also exciting to someone else. I am sending it to some buddies and additionally sharing in delicious.